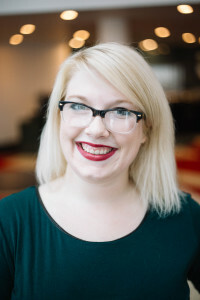 I’m Lauren Horsch, a Durham, North Carolina-based journalist specializing in state government, municipal government, breaking news and crime coverage. In November 2016 I transitioned to a new role covering the North Carolina General Assembly and state politics with the N.C. Insider, a state government newsletter that is part of The News & Observer in Raleigh, N.C. Since joining the N.C. Insider I’ve spent more than two years fully immersed in state government, including cover the 2018 elections that saw Republicans in North Carolina lose their veto-proof supermajority in the General Assembly. The Insider is a small team — five total, with only two reporting on the NCGA. Because of our size, I’ve been able to cover all policy areas from Medicaid expansion to industrialized hemp and regulations for police-warn body camera footage. Before joining the N.C. Insider, I covered Durham city and county for The INDY Week, an alt-weekly in the Triangle. Prior to that, I was a reporter for The Herald-Sun, in Durham where my main beats were the city council and county commissioners. Before moving to North Carolina full-time, I covered breaking news for The Des Moines Register, in Des Moines, Iowa while attending Drake University. Prior to that, I cut my teeth as a reporter at The Daily Herald, in Roanoke Rapids, North Carolina for a summer. I started at The Herald-Sun as a crime and police reporter where I covered the Durham Police Department and Durham County Sheriff’s Office. While working the beat I also branched out and covered stories in Chapel Hill and Orange County — including the triple homicide of young Muslim students. In April 2015 I transitioned into covering Durham City and County. Since then my life has been a flurry of public meetings and election coverage. During my time at The Register, I helped cover multiple stories that received national attention as well as various homicides and human interest pieces. I was also part of a team that covered the Younkers Fire, which gutted a historic building in downtown Des Moines. I also served as managing editor for ThinkMag, an online and iPad magazine, created completely from scratch by a group of seniors and juniors preparing for graduation. I hail from the land of beer and lakes (New Ulm, Minnesota). You might know the town for having a pretty awesome copper statue of a German warrior and being the “setting” for an awful Renee Zellweger movie. The news is my passion. It has been for years now. I started interning at the local newspaper in New Ulm, The Journal, when I was a sophomore in high school (even before I had a driver’s license). Since then I’ve dedicated my life to covering the news and informing the public. Some of my earliest childhood memories actually revolve around watching the nightly news with my family, and sharing a newspaper with my father in the mornings. Thank you for taking the time to read my work and feel free to reach out if you have any questions or words of wisdom.